Wander through 100 year old gardens and enjoy in your own private three acres of amazing gardens as featured as one of the 11 Secret Gardens of the Dandenongs. Enjoy warm nights in front of the crackling open log fires and two person spa. Immerse yourself in spacious cottages and luxurious four poster bed in Keepers Cottage or a beautiful Queen iron bed in Gatehouse Cottage. Moulton Park Estate is the original historic homestead of the area built in circa 1910. 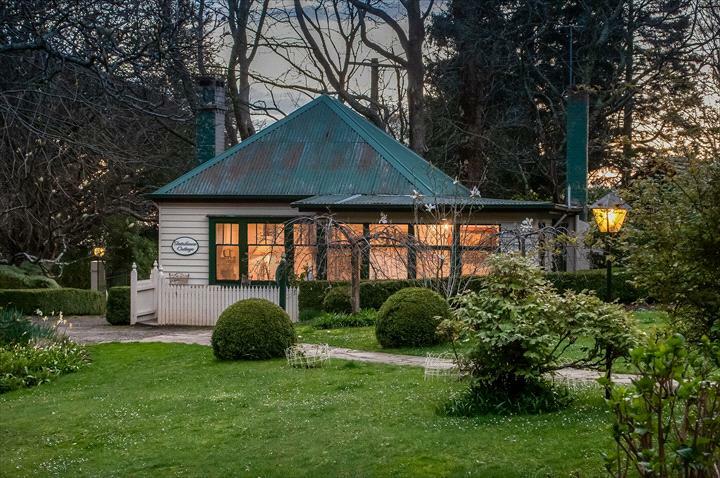 The Moulton Park Historic Homestead is adorned with chandeliers, French furnishings and large antique fireplaces providing a superior holiday experience in Victoria's most treasured escape destination, the Dandenong Ranges. Discover the Dandenong Ranges and find your passion for tea at the local village of Sassafras in Tea Leaves located next to iconic treasure Miss Marples Restaurant. Olinda, Mt Dandenong and Sassafras are only minutes from each other offering an eclectic range of shops, cafes and antique wares. Or even explore further afield to the Yarra Valley and the Victoria's famous local wine region.